Online Registration begins May 1 — Click here for more information. knot work that can be used at camp or in the wilderness! Can you tie a sheet bend? If not, join us and learn how! 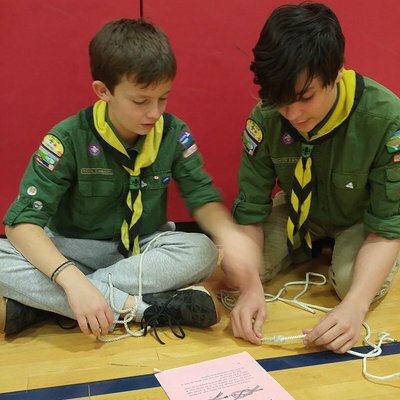 Scouting is Canada's leading youth organization, offering challenging programs for boys, girls and youth age 5-26 in thousands of individual groups across the country. Over 74,000 young people enjoy Scouts Canada's programs, which are provided by 23,000 caring and dedicated volunteers. 1st Bolton Scout Group provides an exciting, educational and fun program for youth of all ages. Why not join us today!